Graham McKay proudly wears Australian service medals and those of his father. FRIENDS of the late Graham ‘Grumpy’ McKay are invited to celebrate the life of the former electrician and volunteer firefighter with his family at a memorial tea. Daughter Lisa McKay contacted The Gazette in the hope of reaching past friends and colleagues of her late father, who lived in the Hills for many years and grew up in Kalamunda. The family would particularly like to reach someone named ‘The Highlander’, who left a get well card earlier in the year. “Dad lived with his grandparents at a boarding house called The Geisha, which they ran in Kalamunda and he travelled on the train via the Zig Zag to Wesley College where he boarded during the week,” she said. Mr McKay (85) joined the Air Force after finishing school and travelled before meeting his wife Margaret in NSW; soon after they married he was posted to Penang. The couple eventually moved to Darlington from Victoria in the 1960s and their three children still live in the Hills. Mr McKay was employed by Ansett Airlines for many years and worked locally as an electrician wiring ‘new’ homes in Darlington throughout the 1970s. 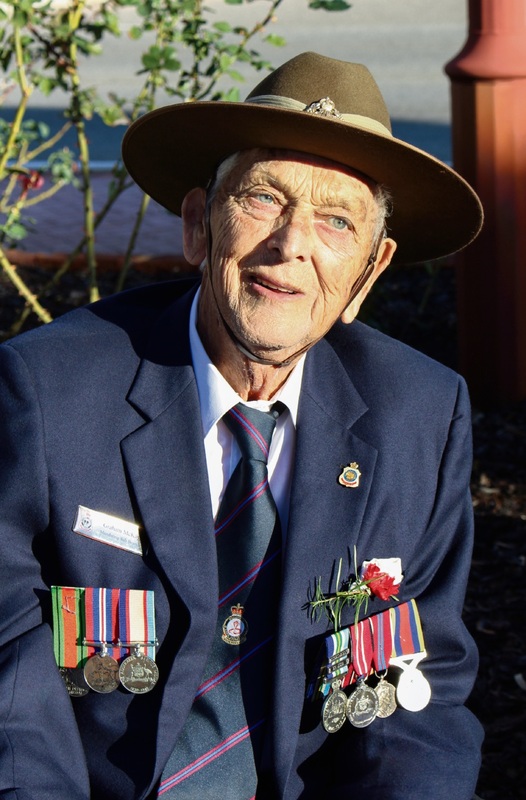 He was active in the Darlington Theatre Players and took great pride in attending the local Anzac Day parade as a member of Mundaring RSL. For several years, every morning he raised the flags at the town cenotaph and lowered them in the evening until poor health interceded. Following retirement, Mr McKay lived in Yallambee Retirement Village where he was known as a friend to all and an unofficial caretaker, changing light bulbs and doing odd jobs whenever anyone needed help. “Dad was a character who didn’t hear or use the word ‘can’t’,” Ms Mckay said. Mr McKay passed away on May 21 while having a nap. “He was a quiet, unassuming man who didn’t want any ‘pomp and circumstance’; he was privately cremated,” Ms McKay said. Anyone who would like to share memories with the family is invited to tea at 2pm on Sunday, July 9 in the meeting room of Mundaring Anglican Parish Church. Contact Lisa on 0412 578 858 or Tina on 0417 095 527.